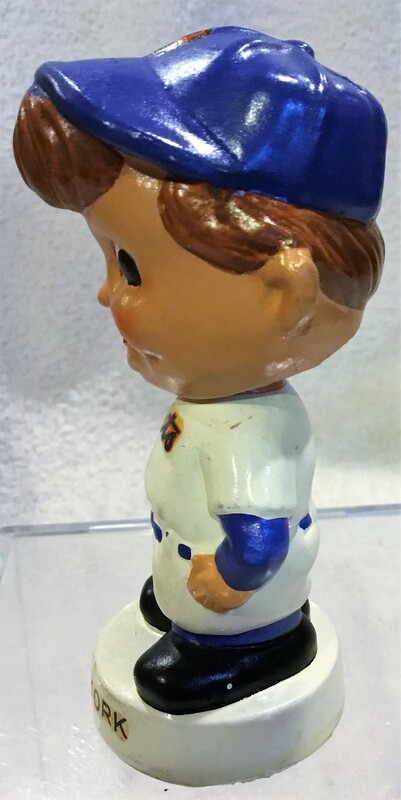 Here's another great looking doll from Baseball's Miniature series of the early 60's. It's of N.Y. Mets. It has bright coloring with strong decals. There are no chips or cracks and it grades near mint. this is the dark blue hat variation.